Michael Ferguson, Flat Wave Set, acrylic, 30×32 in. Compare and contrast Marcia Burtt’s and Michael Ferguson’s approaches to painting the landscape in a two-person exhibition at our uptown location opening First Thursday, May 1, with a reception from 5:00 to 8:00. Ferguson lives and works in Washington State; his large-scale paintings of the north coast vibrate with fractured color, creating an illusion of three dimensions but always bowing to the flatness of paint on board. 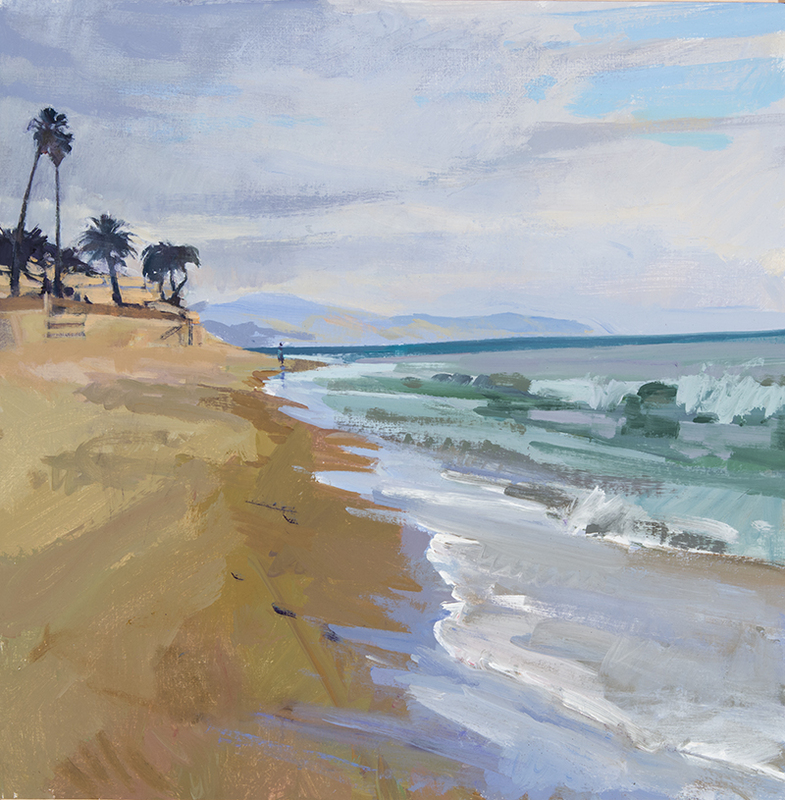 Burtt uses minimalist means to reveal nature’s own surprising colors, from Butterfly Beach to southern France. Marcia Burtt, Butterfly Squall, acrylic, 24×24 in.